Charts explaining when and how to use ordinal numbers in English. 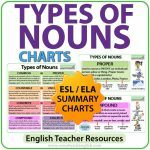 Summary charts explaining when and how to use ordinal numbers in English. 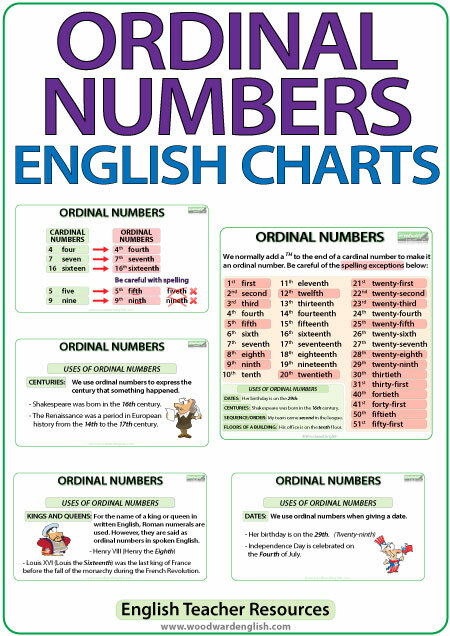 The main chart contains a list of all ordinal numbers from 1st to 31st written as the number and the word. Note, the ordinal numbers that have an irregular spelling (ninth, twelfth, twentieth, etc.) are highlighted. We have also included the ordinal numbers 40th, 41st, 50th, and 51st. In the lower left corner there are four common uses of ordinal numbers: dates, centuries, sequence/order, floors of a building. There is an example sentence of each. There are two versions of this ordinal numbers summary chart, one charts fills up the width of the page. We also have included a smaller version that contains two summary charts per sheet (to save on printing paper). Chart 1: shows the difference between a cardinal number and an ordinal number. Chart 3: How to make larger ordinal numbers. 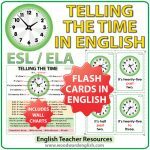 * Each use is accompanied by two or three example sentences. 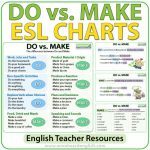 For a better idea of what is contained in each of these charts, see our YouTube Video about Ordinal Numbers in English. What makes the summary chart different from the one that appears on our website? 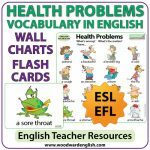 More importantly, every purchase helps us to continue creating more of our other English resources (pages, charts, videos etc.) that are freely available. 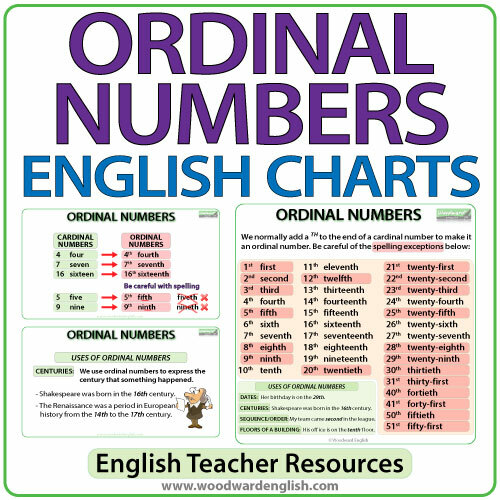 Be the first to review “Ordinal Numbers in English – Charts” Click here to cancel reply.